As you probably know some Land Rover gearboxes always suffered from mainshaft/input gear spline wear. 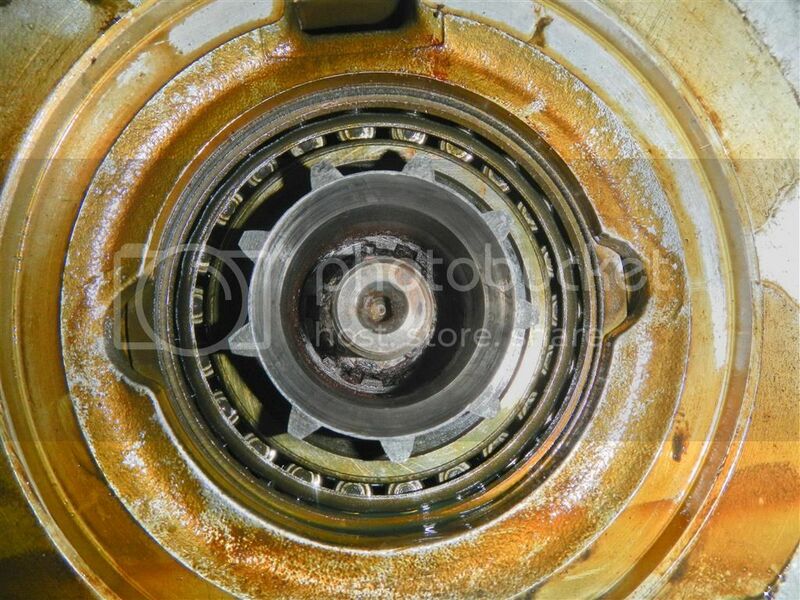 This is due to the fact that oil isnt able to get the the splines to keep them lubricated and reduce wear. On later models of the LT230 transfer box rover fitted cross drilled input gears. These gears simply had holes drilled into them allowing oil to reach the splines. Also, oil feed plates were fitted to get important lube to splines. Once you have the cover off you should be left with this. If your splines are worn, which is likely. You will be able to stop that wear continuing with the oil feed plate. The plate will not fix any issues that are caused by the wear, it will simple stop the wear to continue at this stage. To fit the plate, you simply place it into the gap behind the PTO cover we just removed. Most a marked ‘TOP’ for alignment. To keep that plate in whilst we work, simply apply some grease to the rear. Once the plate is in, its a just a case of refitting the PTO cover with a gasket and some RTV sealant. Remember to remove any old gasket, sealant and oil from the mating faces before refitting. Give the sealant time to set then you can fill with fresh oil and its as simple as that. Do remember that if you’re splines are worn this wont fix the wear, it will simply stop the wear from continue. Thats not to say that if your splines are heavily worn terminal failure wont occur. To get hold of an Oil feed plate and an aluminium PTO cover please visit our Online Gearbox Shop or click the blue ‘Contact’ button on the left and we can get you in the post to you.